Zebrawood is a beautiful wood that comes from West Africa. 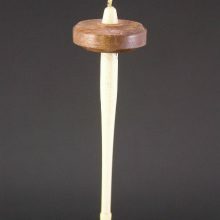 The heartwood is a light brown or cream color with dark blackish brown streaks vaguely resembling a zebra’s stripes. 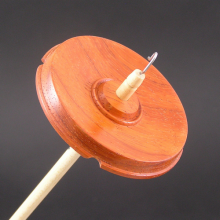 This spindle is rim weighted for long spin time. 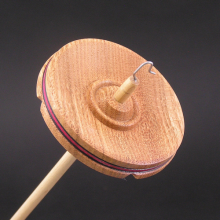 At 1.6 oz, this spindle is good for thicker fiber spinning or plying. 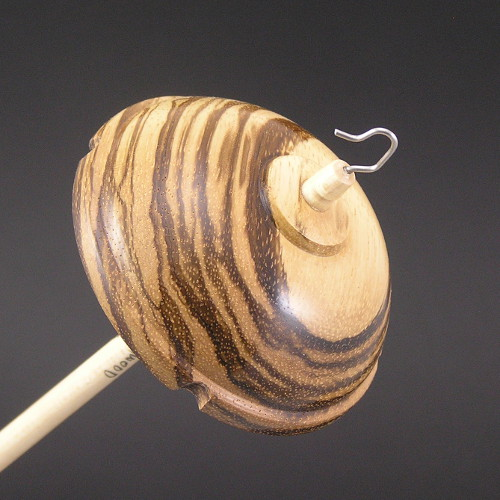 The whorl has a graceful shape that shows off the grain and color of the wood. 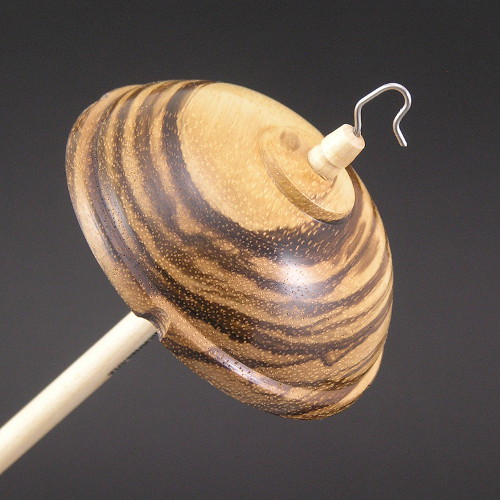 Be the first to review “Drop Spindle Zebrawood #701 – Maxi” Click here to cancel reply.